That is why today we will enter in those stories that, real or not (who knows? ), transcend through the years, passing from generation to generation. Have you ever heard of the Santa Compaña? It is perhaps the best known of the legends and the most terrifying has awakened among children and adults over time. It would be a procession of souls in penalty headed by a living person (the first one they met that night) and whose purpose is to visit, after midnight, those people they want to put on notice of a future death. They say that in the area of ​​O Morrazo, on Mount Paralaia, there is a cave full of treasures and secret passages that fall directly into the sea, and that only in the night of San Juan can be accessed to try to rescue the gold hidden inside, since only at midnight on June 24 will come the “mouras” who live there to wash and comb their hair, leaving the access free. It is precisely the night of San Juan that has more magic around. For this reason, there are numerous rituals that are repeated every year in all parts of Galicia in order to call good luck or end with the spells of the “meigas”. 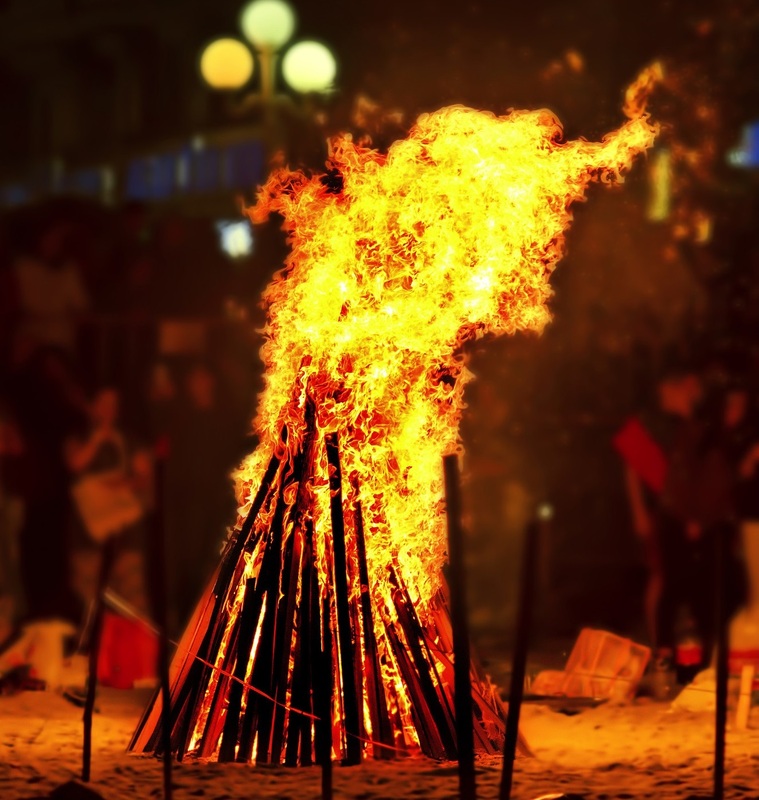 One of the best known is that of jumping nine times over a bonfire; only in this way will we attract good luck and make our wishes come true, in addition to removing the “males de ollo”, since the fire will give us protection. Another tradition is to collect aromatic plants of different kinds, leave them in water under the moon all night and, in the morning, wash with that water. In Monforte de Lemos, in the Monastery of San Vicente del Pino, the legend of the crown of fire is famous. This legend speaks of the existence of an underground passage between the palace where the Earl of Lemos and the church of San Vicente lived. They say that during the absence of the Earl, the abbot of the monastery used this passage to go to his meetings with the daughter of the earl, with whom he kept a secret romance. One day the Earl finds out and decides to invite the abbot to his palace for a meal and, in the course of this, by surprise, one of his servants places a red crown of iron on his head, causing him to die instantly. And do you know how the rivers were born in these lands? The legend says that God, on the seventh day of his creation, sat down to rest on the summit of Mount Santa Tecla, in A Guarda. When he was sitting there, he slipped into his seat, because everything was filled with mud because of the heavy rains, and to try to keep his balance, he rested his right hand on the mud. It was thus that, when withdrawing his hand, he left five large crevices that were quickly occupied by the sea, giving rise to the estuaries of Vigo, Pontevedra, Arousa, Muros and Noia, and Corcubión. These are just a few, but the truth is that Galicia is full of stories and legends.